This Cork Cage Barrel from Epic is the perfect gift for friends and family. It makes an innovative accent piece for your home. For cork collecting, corks can be dropped in the opening at the top. It is a fun and innovative way to keep your cherished corks. It will hold approximately 150 corks. The top opens so that a standard bottle of wine will fit which makes a great way to present a gift to friends. 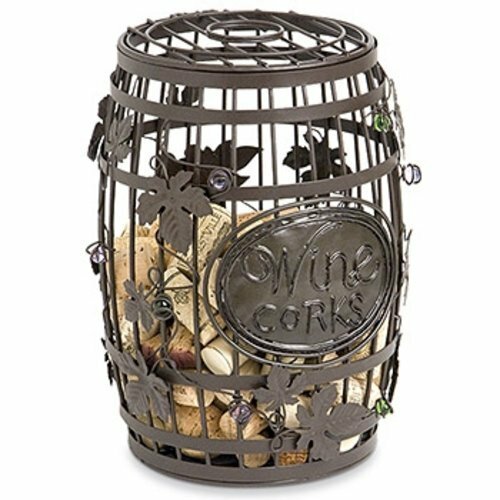 Wine Barrel Cork Cages are beautifully crafted from wrought iron metal and accented with colored glass spheres and detailed leaves and vines.